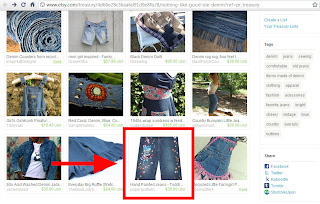 Paper and Twine Crafty Design, LLC: Etsy Features a Pair of My Hand Painted Jeans in a Denim Treasury - Yay! Etsy Features a Pair of My Hand Painted Jeans in a Denim Treasury - Yay! 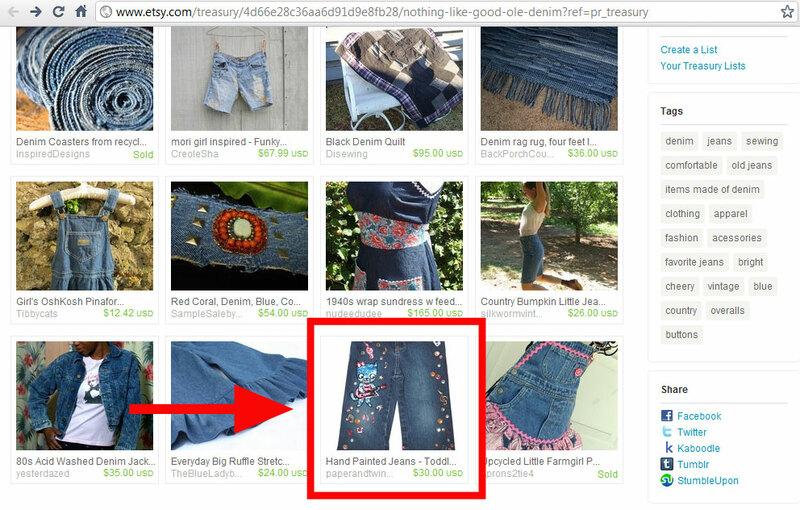 Interestingly....I got a pair of jeans featured in a Treasury on Etsy.